Gold and South Africa are synonymous, and have been since the discovery of the largest gold reefs in the world at Witwatersrand in 1886 and the subsequent gold rush which led to the founding of South Africa’s now largest city, Johannesburg, in the province of Gauteng. Many of the locations in this area have hidden – and not so hidden clues – referring to gold. Gauteng is derived from the word ‘gauta’ which means gold in the Sotho language, and which in turn is derived from the Afrikaans word ‘goud’, which also means gold. Johannesburg itself is sometimes referred to as eGoli which means ‘Place of Gold’ in the Zulu language. In fact, South Africa’s currency, the Rand, was even derived from ‘Witwatersrand‘, at a time when people knew that gold was money. South Africa has extracted the most gold of any nation on earth, and it has also refined the largest amount of gold on the planet at the famous Rand Refinery. Furthermore, the country’s showcase gold coin, the Krugerrand, is a leading contender for being the world’s most famous gold coin. Although gold production in South Africa has been on the decline since at least the early 1980s, the domestic gold market is still vibrant and encompasses mining through to refining, and gold coin production through to gold futures trading on the Johannesburg Stock Exchange. Additionally, South Africa’s leading banks are experts in financing the country’s gold mining sector. The largest contemporary South African headquartered gold mining companies are Anglogold Ashanti, Gold Fields, Harmony, and Sibanye Gold. Anglogold Ashanti, South Africa’s biggest gold mining company, and Gold Fields, the country’s second largest gold producer, are global gold producers with operations across the world. Harmony, South Africa’s third largest gold producer, has operations in Papua New guinea as well as South Africa. Sibanye Gold is a purely South African focused gold mining company which was spun off from Gold Fields in early 2013, and is now itself a major gold producer, having acquired a number of mines since then. Anglogold Ashanti arose from a merger completed in 2004 between Anglogold Limited of South Africa and Ashanti Goldfields of Ghana. Earlier, in 1998, Anglogold Limited was created through the consolidation of the various gold operations of Anglo-American Corporation of South Africa Ltd. Anglogold Ashanti’s equity shares have a primary listing on the JSE. Gold Fields Limited was formed in 1998 through a merger between Gold Fields of South Africa and Gencor. Gold Fields of South Africa was originally established in 1887, one of the co-founders being the famous Cecil Rhodes. The above four gold mining companies are members of a broad-based mining group called the Chamber of Mines of South Africa, as are fellow South African gold miners DRDGOLD, Village Main Reef, and Pan African Resources. Rand Refinery is one of the most famous gold refineries in the world. Since 1921, It has refined over 50,000 tonnes of gold, which is more than one-third of all the gold ever mined throughout history. Founded in 1920 by the Chamber of Mines of South Africa, today Rand Refinery is the largest single-site precious metals smelting and refining facility in the world. The refinery is located in Germiston, to the east of the Johannesburg metropolis. The Rand Refinery company is privately held, and is owned by the five largest South African gold miners discussed above. AngloGold Ashanti owns 42.4% of the Rand Refinery shares, Sibanye Gold holds 33%, DRD controls 11.3%, Harmony controls 10.4%, and Gold Fields holds 2.7% . Rand Refinery is also notable in being one of the five referees that comprise the LBMA Good Delivery System panel along with precious metals refiners Argor-Heraeus, Metalor and PAMP from Switzerland and Tanaka Kikinzoku Kogyo from Japan. Rand Refinery’s membership of this prestigious panel highlights the standing in which South Africa’s main refinery is held around the world. Furthermore, the LBMA’s current good delivery list officer, Neil Harby, was formerly the Head of Evaluation at Rand Refinery. In its investment gold bar range, Rand Refinery produces a number of cast bars including the good delivery 400 oz bar, a 100 oz bar, a 1 kilogram bar (in various purities), a 100 gram bar, and 5 and 10 tolas bars (in various purities). The refinery also produces a range of smaller customisable minted gold bars. A comprehensive synopsis of Rand refinery’s gold bar range can be found on the Goldbarsworldwide website. Given the prolific output of gold bars from Rand Refinery for nearly 100 years, and the South African central bank’s historic approach of selling South African gold in the London, and later Zurich gold markets, there are, or at least there used to be, a huge number of Rand Refinery 400oz gold bars stored at the Bank of England and in other central bank gold vaults around the world, including at the vaults of the Federal Reserve Bank of New York. Rand Refinery also operates a precious metals and gemstones vault and transportation operation adjacent to Johannesburg’s “OR Tambo International Airport” which was opened on behalf of gold and gemstones producers, and which helps serve Rand Refinery’s international customer base. The South African Mint Company, located just outside Pretoria, in Centurion, has been a wholly owned subsidiary of the South African Reserve Bank (SARB) since 1988. Its notable in produces proof Krugerrand gold coins, as well as other ranges of proof gold coins (see below). The 1 ounce Krugerrand, or Kruger as it is often called, is arguably the most famous investment gold coin in the world, and there are now more than 60 million Krugerrands in circulation globally. The Krugerrand is issued as both a bullion coin, by Rand refinery, and as a proof coin, by the South African Mint. Even though the 1 oz Krugerrand gold coin is 22 karat gold or 0.9167 fine, it contains exactly 1 oz of pure gold since the actual coin weighs 1.090869 ozs, with the residual metal comprising copper. The ‘Kruger’ in the name ‘Krugerreand’ refers to Paul Kruger, who was president of the South African Republic between 1883 and 1900. Krugerrand coins are legal tender in South Africa. The coin was officially first minted in July 1967, but large-scale production started in 1970. In 1980, smaller denominations of the coin were introduced comprising ½ oz, ¼ oz and 1/10 oz denomination coins. All gold used to manufacture Krugerrand’s is sourced by Rand Refinery. Rand Refinery manufacture the coin blanks, and the South African Mint mints and stamps the bullion coins jointly with Rand Refinery. The Mint manufactures the proof coins itself. Rand Refinery is authorised by the South African Treasury to exclusively market and supply the bullion Krugerrand coins to authorised coin dealers in South Africa, to members of the South African Association of Numismatic Dealers (SAAND), to registered manufacturing jewellers for use in making jewellery, and to coin dealers internationally. The South African Mint exclusively issues and markets proof Krugerrands. The Johannesburg Stock Exchange (JSE) hosts a secondary trading market for Krugerrands which quotes prices for the coin’s 4 denominations, i.e. 1 oz, ½ oz, ¼ oz and 1/10 oz. The JSE oversees trading in Krugerrands in a similar way to equity (common stock) trading, and Section 15.10 of the “JSE Equity Rules” specifically addresses the dealing procedures for Krugerrands. In August 2009, the CME Group granted a license to the JSE to list gold futures based on the CME’s commodity derivatives products. These JSE gold futures are denominated in South African Rand (ZAR) and are cash-settled in ZAR with an underlying asset of COMEX gold futures (they use the COMEX gold price as an underlying reference). JSE gold futures were originally listed on the JSE’s SAFEX platform. The JSE acquired the South African Futures Exchange (SAFEX) in 2001. SAFEX was founded in 1990, originally as an Agricultural futures exchange. As JSE gold futures prices are quoted in ZAR, they take into account the ZAR/USD forward exchange rates. The South African Reserve Bank (SARB) holds a respectable 125.2 tonnes of gold in its official reserves (just over 4 million troy ounces). The Bank states that “a very large percentage of these gold reserves are held in the vaults of official sector institutions.” When asked by BullionStar where this gold is actually held, SARB replied “Unfortunately, the SARB cannot divulge that information, hence the reason it stated ‘mostly held abroad with other official sector institutions‘”. Historically (between 1925 and 1997), the SARB bought nearly all newly mined South African gold production within one month of production, and then sold on this gold, as it saw fit, to other buyers. This explains why the SARB was frequently a seller of large amounts of gold in the London Gold Market (for example in the 1960s) and in Zurich (in the 1970s), and also a seller of gold to institutions such as the International Monetary Fund (IMF) in the late 1960s. In 1997, the South African gold mining companies successfully negotiated with the Ministry of Finance to be able to sell their gold output independently of the SARB, provided that the SARB had granted the necessary exemptions from Exchange Control Regulations. However, since 1997, the SARB states that it “still monitors the gold market closely since its opinion in respect of the gold market is still required and valued“. Nowadays, like a lot of other central banks, the SARB also sometimes places some of its gold holdings in interest-earning gold deposits with “approved counterparties”, which most likely means highly-rated international commercial banks and the Bank for International Settlements. The SARB also lends gold on a short-term basis to the local jewellery industry using local commercial banks as intermediaries. Interestingly, the SARB runs a programme under which it offers to buy back South African legal tender gold coins from the public. This programme is part of the South African Reserve Bank Act, 1989 (Act No. 90 of 1989). Eligible coins “are purchased for their gold content at the prevailing gold price. Customers are paid out in Rand“. 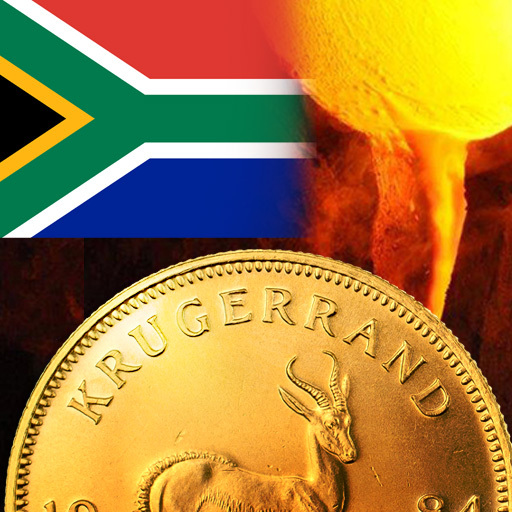 Since Krugerrands are legal tender in South Africa, Krugerrand bullion and proof coins are included in this programme, as are Natura proof gold coins, and Protea proof gold coins. The public can sell these coins to the SARB at its offices in Pretoria, Johannesburg, Cape Town, Bloemfontein, Durban, East London and Port Elizabeth. The Standard Bank of South Africa, part of the Standard Bank Group and one of the largest banks in South Africa, has traditionally been involved in the South African gold market and was founded in 1862 as the Standard Bank of British South Africa. Today, Standard Bank offers hedging products on precious metals including gold, is a market maker for Rand cash-settled gold futures on the JSE and issues Exchange Traded Notes on gold, which also trade on the JSE. The London headquartered Standard bank, which was an ordinary member of the London Bullion Market Association (LBMA), is now called ICBC Standard Bank, and ICBC Standard Bank is now an Ordinary LBMA member. Rand Merchant Bank (RMB), part of the FirstRand Group, is a market maker for gold futures on the JSE , and also offers a Krugerrand Custodial Certificate product which trades on the JSE in the ETF sector. These certificates represent ownership of Krugerrands stored in a Brinks SA vault, located in a Guardforce International Transportation Ltd vault facility at O.R. Tambo Airport in Johannesburg. The trading price of the certificates has a 10 year storage fee built into the price, but the product also offers holders the option of taking physical delivery of the underlying Krugerrands. RMB also markets a Krugerrand saving product offered by FNB, another company in the FirstRand group, where Krugerrands can be purchased for inclusion in a retail customer’s Share Builder and Share Investor savings products, and the Krugerrands are stored at the Rand Refinery storage facility. This product also has a physical delivery option as well as a sell-back option..
ABSA Bank, a wholly owned subsidiary of Barclays, offers a physically-backed gold Exchange Traded Fund (ETF) called NewGold. NewGold, listed in 2004 on the JSE, was one of the first gold ETFs worldwide to be launched, and it’s gold (in 400 oz bar form) is held in London by the custodian, Brinks Limited. As of February 2016, NewGold held approximately 930,000 ozs of gold . However, this gold in the ground in South Africa is finite, and its rate of extraction has continued to diminish. Critically, based on current estimates, South Africa only has 33 years of extractable gold resources remaining, and according to its Department of Mineral Resources, South Africa still has 36,000 tonnes of unextracted gold which is becoming increasingly hard to extract, either because the gold is situated in progressively deeper vains, and/or is of lower grade quality than previously mined gold. In March 2015, the government agency, Statistics South Africa, published an eye-opening summary on the declining importance of gold mining to the South African economy. By January 2015, South Africa was producing a staggering 87% less gold than it had produced in January 1980 (coincidentally, the month of the highest ever inflation-adjusted gold price). Until 2007, South Africa was, in output terms, the world’s number one gold producer. However, it has now dropped to 7th place in annual output behind China, Australia, Russia, USA, Canada and Peru, with 2015 production of only 140 tonnes. This decline in gold production continued during 2015. All of this information helps to explain why Rand Refinery has been importing gold from other countries since 2004. South African gold mining companies have also recently become either loss-making, or have witnessed substantial reductions in their profitability. South Africa’s golden jackpot may not be ending anytime soon, but there appear to be some clouds on the horizon. But given its stature as one of the world’s iconic gold markets, it’s still assured that South Africa will remain a critical gold market for many years to come.